You can listen to 'Epizootics!' here. Starting this review I promise to seriously listen to one of the most strange records that I ever sat through from beginning to end. What to make from this collage of sounds, pieces of text, weird effects? The way the album starts seems designed to repel. Dark, ominous drones, pulses that are unleashed on the non-suspecting listener. Over the drones Walker proclaims lyrics, while snippets of instruments come in to and go out of the mix. ''See you don't bump his head'' is beyond a traditional song, but just a stepping stone to the rest of the album. 'Corps de blah' is a collage that vaguely reminds me of 'Suzy Creamcheese' kind of Frank Zappa songs, but only in the most polite way. The funny thing is that in fragments of the song Walker does allow us to hear what the song would have sounded like if he'd aimed for a more conventional record. It makes me wonder how these songs started. Just on a guitar or piano? After which the song must have been deconstructed, cut up, glued, instruments recorded but for the better part left out and others added at the most surprising moments? It must be something like this as I can't imagine coming up with songs this way out of the blue. Scott Walker broke through in 1965 with The Walker Brothers: 'Make it easy on yourself', followed in 1966 by their greatest hit 'The sun ain't gonna shine any more'. All in a very Phil Spector wall of sound like production and Scott's deep, theatrical voice. In 1976 there was a comeback album with the hit 'No regrets'. Scott, born Scott Engel in 1943, resumed his solo career, that he had started in 1967. 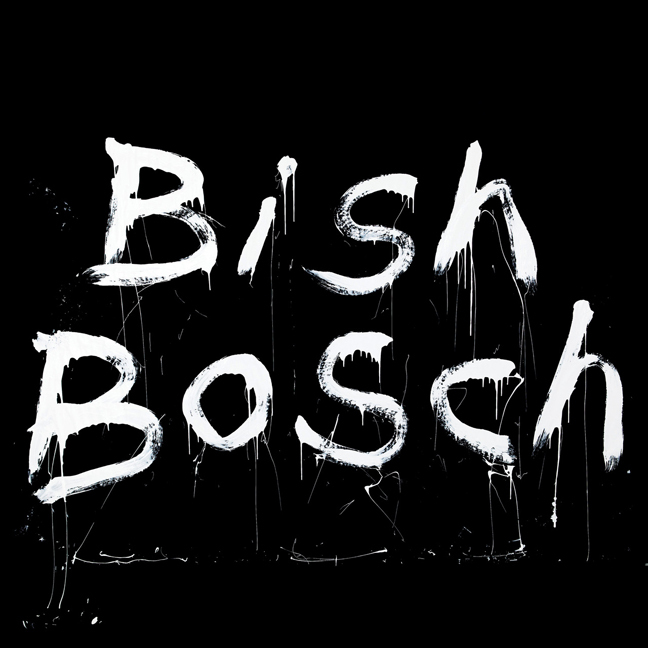 Bish Bosch is his fourteenth solo album but only his third since 1984. His voice has grown older and is less strong, half of the time not really singing, but declamating or singing like a priest in church. Frail, like his image in recent pictures I found on the Internet. There's a similarity to Lou Reed's faded voice here. If I'm honest I do not enjoy Bish Bosch, but a fair guess is that this album is not here to please. It does impress me, in a way 'Kid A' impressed me, but I have almost never listened to that album again. This music confronts and overwhelms. It is music that demands the highest form of concentrations to acknowledge what it is that is going on. The album as a whole is too much for me to sit through all in once. The songs are soundscapes over which we hear Walkers voice. A passage in 'Dimple' is moving, there, when the second voice comes in. The mood is directly destroyed by a harsh, sharp-edged digital sound. To change again to accompaniment by jazzy drums only to be exchanged very soon by an acoustic guitar. Short images of the song 'Dimple', the song that could have been that is, and then the soundscape sets in again estranging the listener, confusing, alarming. In 'Tar' a sound like two swords connecting makes up the main rhythm, all other sounds or instruments seem like the have nothing to do with what Walker declamates. Aliens to the song, but allowed in anyway. The song that resembles "a song" most is the last, ninth, song on Bish Bosch. 'The day the "Conducator" died (An Xmas song) is bare, but almost seems like a "normal" song after the sonic experimentations we have heard in the eight songs before it. The sleigh bells are all around and the end will sound very familiar to all familiar with Christmas, as if Scott Walker makes up for all that went on before. Bish Bosch could not be further away from the songs of Scott Walker that come by on radio stations every once in while, with 'Jacky' and 'Mrs. Murphy' as most well known solo songs. Bish Bosch is too far out to look at as pop music, for entertainment, but it is very special. With compliments to his record company for the audacity to release an album like this in these days. 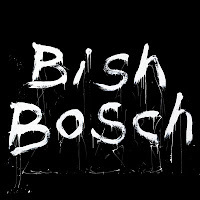 I will not play Bish Bosch often, but, yes, I am an experience the wiser and left behind in awe.